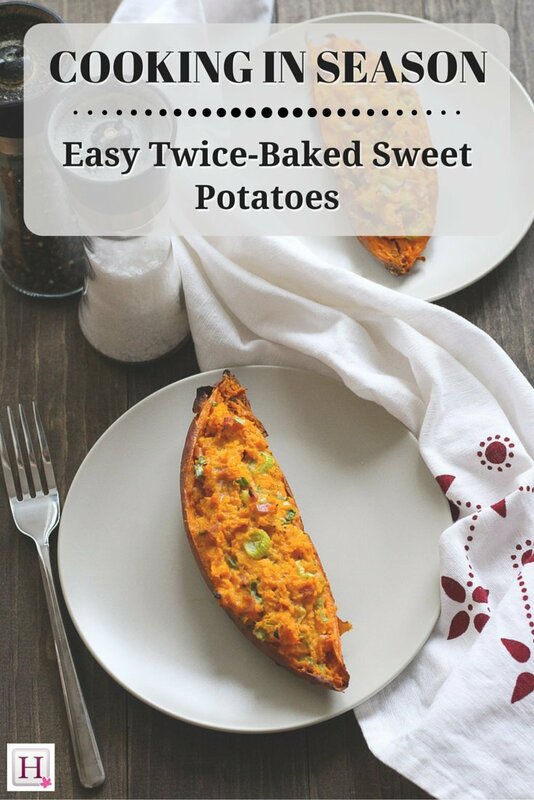 Plus a recipe for easy and delicious twice-baked sweet potatoes. 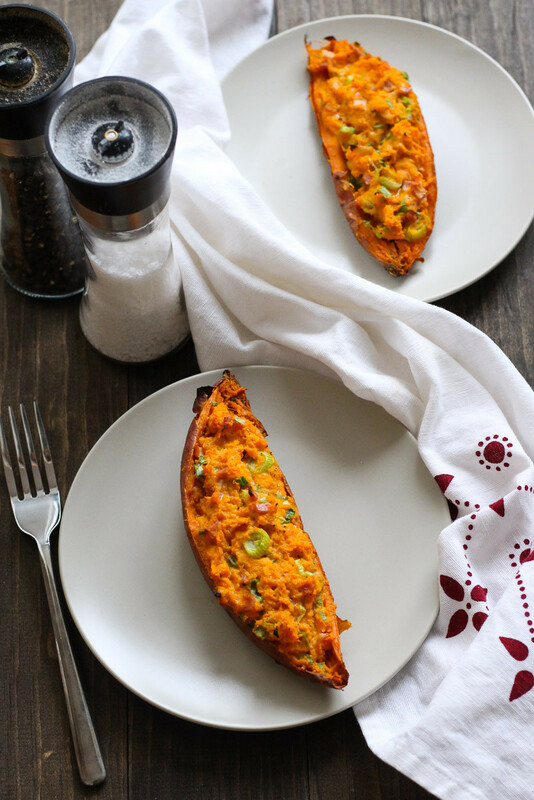 They are healthful, versatile, available year-round and packed with flavour — what's not to love about sweet potatoes? Some people may confuse them with yams, because of their similar appearance; however, yams are grown primarily in Asia and Africa, and have a different flavour. Though sweet potatoes are native to tropical areas like South America, they are now commercially grown in Canada. They tend to be most popular during the late autumn, when they're featured on holiday menus. They also make for a comforting side dish during the winter months. The bright orange flesh of these root vegetables is also nutritionally dense. A great source of beta-carotene (or vitamin A), vitamin C and fibre, there's no reason why you shouldn't be substituting them in for regular potatoes in any recipe! Sweet potatoes come in many shapes and sizes, so it's best to know how you're going to use them ahead of time. Making sweet potato fries? Choose a sweet potato that is longer and thinner. If you're looking to mash or cube them, the shape and size matters less. Make sure your sweet potatoes are firm and have no bruising, dark marks or torn skin. 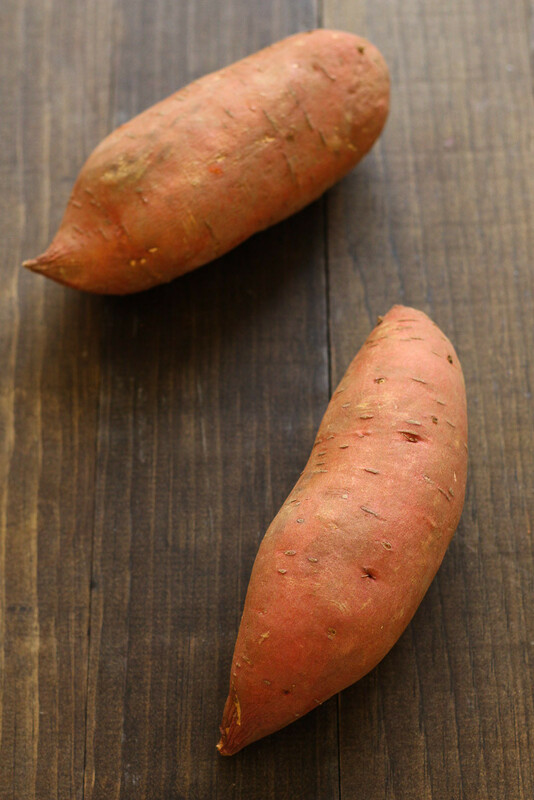 Though sweet potatoes are hardy root vegetables that store well, they should not be kept in the refrigerator. Leave them in a cool, dry pantry or on the kitchen counter. They should last two to three weeks uncooked. Once cooked, they can be stored in your refrigerator for up to five days. You can also freeze them in airtight containers once cooked. 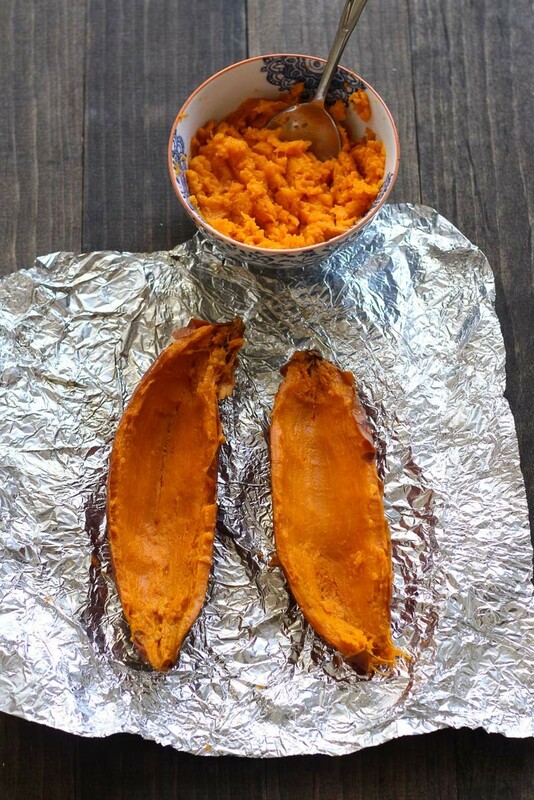 Cook sweet potatoes in oven for 40 minutes. Remove from oven and let cool for about 10 minutes. In the meantime, fry bacon and slice green onions. Set aside. Slice sweet potatoes length-wise and scoop out flesh into a medium-sized bowl. Add sour cream, turkey bacon, green onions, cheddar cheese, salt and pepper and mix together. 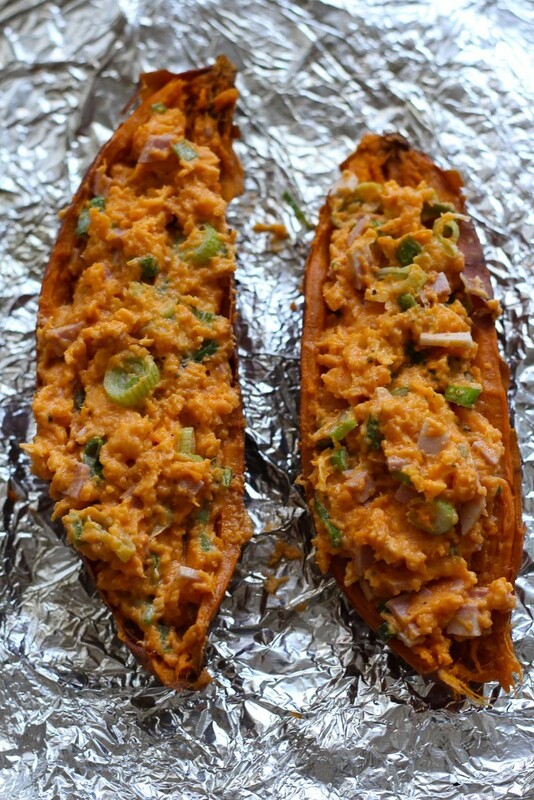 Put sweet potato mixture back inside the sliced potato skins, and then bake in the oven for about another 15 minutes.